I’d like to invite you to challenge an idea that you may have taken for granted. It’s the idea, the concept, of ‘clean eating’, an concept that’s heavily promoted by countless fitness magazines, blogs, ‘fitness professionals’, and even supplement companies. Now, don’t get me wrong. I’m all for promoting recipes and foods devoid of refined flours, processed carbohydrates, simple sugars, hydrogenated fats, GMO-corn derivates, additives and related faux-food yadiyadiyas. In all seriousness though, a lot of people would call – and HAVE called – my way of eating and the recipes found on this website ‘clean’ because they’re nutritious and devoid of added refined sugars and a bunch of related junk. But I’ve never embraced that term. 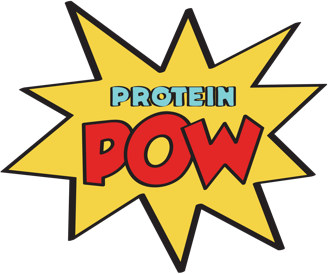 I’ve never used it to describe what Protein Pow stands for or what my recipes, our powders, our soon-to-be-released protein bars, or my personal way of eating is all about. WHY NOT? WHAT’S THE BIG DEAL? If you read my article on eating disorders in girls, then you know that I’m a huge proponent of doing away with words and concepts that can create or feed a disordered approach to one’s body and to food. That’s one of the most valuable things I learnt when I was doing my internship at Chicago’s Eating Disorders Clinic, back when I was considering doing my PhD in that area. One of the things I learnt – which is what I’d like to call your attention to, is that categorizing foods as good or bad, clean or dirty, allowed and forbidden, can give rise – and indeed, exacerbate – a distorted view of food which can in turn contribute to disordered eating. It can contribute to people building a negative relationship to food by imbuing food with FEELINGS (like anxiety, fear, or even shame) and a sense of self-worth. Morally dichotomizing food – placing food on a scale that renders certain food as ‘good’ on one side and ‘bad’ on another – gives power to food in a way that it doesn’t deserve. This then can lead someone to feel guilty and/or anxious after eating a ‘forbidden’ food or failing to abide to an idealized ‘clean eating’ regime. Clean eating, to me, is a wolf of a concept desguised to look harmless, like a sheep. But it’s not always harmless and we need to be aware of this when we ourselves start internalizing these ideas and judging our diets, ourselves, and other people by how we and they choose to eat – or not. Food is food. It sounds ridiculous to say this but it’s an important take-home message I’d like to leave you with. Food is food! Yes, I’m an ardent believer that we should minimize our intake of junk and strive to eat as best we can. But not because of some ridiculous rules or ‘clean eating’ norms devised to, far too neatly, categorize our food choices into permissible and forbidden, good or bad, clean or dirty. We should eat as best we can because healthy food makes us FEEL and PERFORM our best. You know… life can someones get in the way of our ideal ‘diet.’ Sometimes we find ourselves unable (or unwilling) to create rainbow-colored bowls of fresh fruit, whole grains, and superfoods. But we should NOT feel – of be made to feel – any guilt about it. We need to try to disentangle food from feelings of guilt. Or shame. Or self-reproach. We are people at the end of the day. Complex, full-spectrum, living-life-as-best-we-can people. The last thing we need is for someone to tell us that, on top of it all, we need to ascribe to a strict ‘clean’ eating plan. Let’s promote education instead of some arbitrarily-constructed dietary perfection, you know? Perfection, at the end of the day, is ever so elusive! And far too often, it can stand of the way of good (cf the Nirvana fallacy). Let’s promote a love of nutrition for the sake of how it can make our bodies feel so that, more often than not, when we’re faced with two food options: one junk food and another a nutrition-dense food, we choose the latter out of love (love of fueling our bodies efficiently and with care) as opposed to fear (fear of veering off the path of ‘clean eating’ or any other strict plan that cannot sustainably fit into our lifestyles in the long-run). HEY, IT’S NOT JUST ME! “It’s SO easy to get caught up in diet trends. And at the moment ‘wellness’ and ‘clean eating’ is synonymous with eating raw or vegan or gluten free. When we advocate a diet that is so restrictive and inflexible, and then market it to young girls dressed up as self-care, we are at risk of creating disordered eating. We are at risk of creating fear and anxiety around the very thing that nourishes us. IF NOT ‘CLEAN EATING’ WHAT OTHER TERMS CAN WE USE TO PROMOTE HEALTHY EATING?